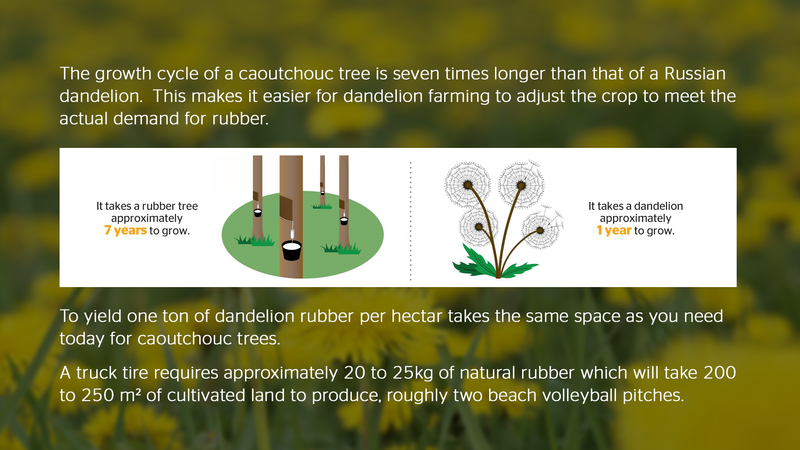 Most people view dandelions as a nuisance. 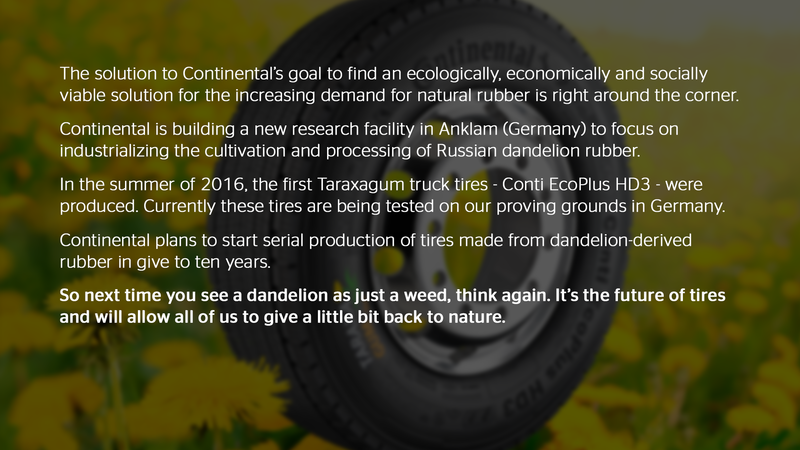 But here at Continental, we embrace the flowering weed as a key component to the future of tires. 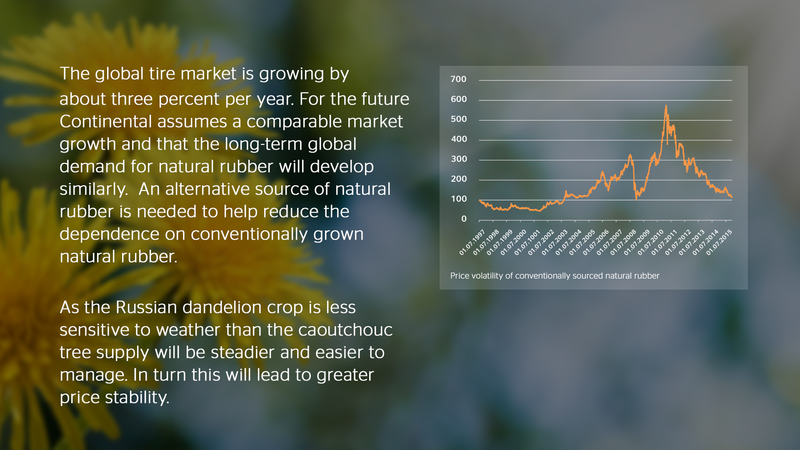 Before you start thinking you can harvest the dandelions from your lawn into a cash crop, think again. 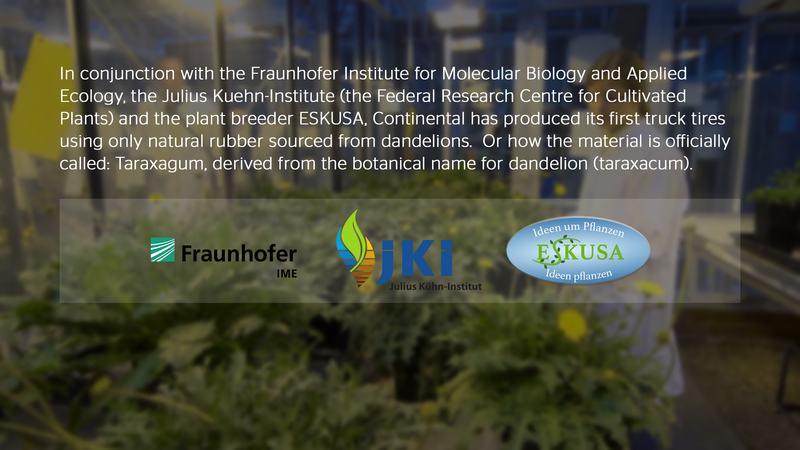 Continental isn’t using just any dandelion but a specific species. 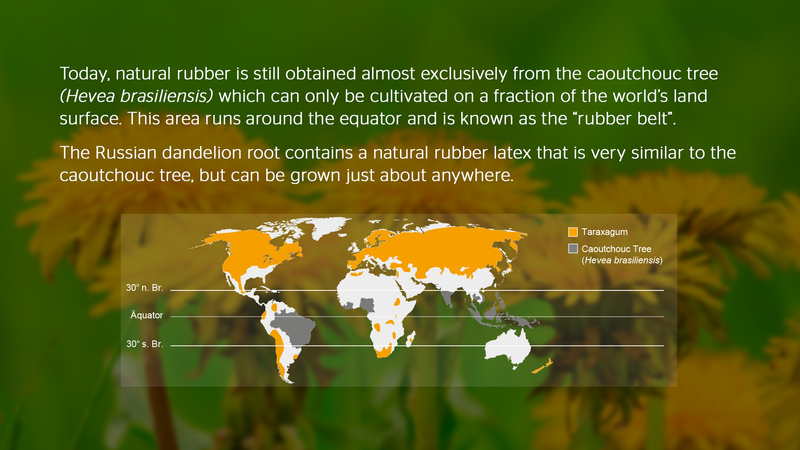 The Russian dandelion is the only one that can be used as an alternative source for natural rubber production.